DESTRUCTION OF THE NAUVOO TEMPLE. 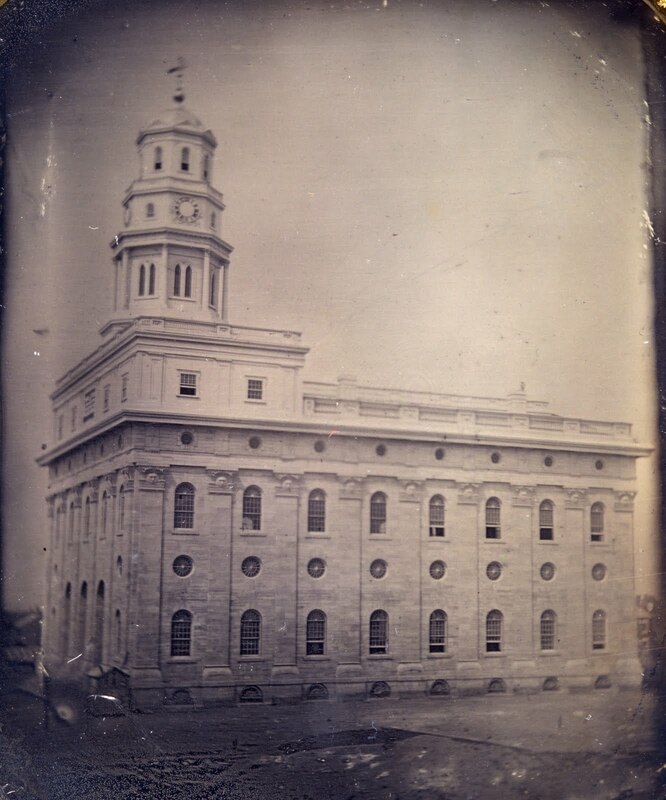 “The Temple of Nauvoo, erected by the Mormons, finished in 1845, partially burnt in October, 1848, having but its four walls left — all its timber works having been consumed by the flames — was destroyed by a hurricane on the 27th ult. On arriving at Nauvoo, in March, 1849, the Icarian community bought this temple with a view to refit it for schools, its studying and meeting halls, for a refectory capable of containing about 1000 persons, &c.
Many preparations were already made. An agent had been sent to the pine forests of the north to buy timbers of dimensions necessary for re-establishing the roof and floors. Some other pieces of wood were ready; a steam mill was purchased to fit up a saw mill; the saw mill was nearly finished; a vast shed was raising near the temple to shelter the carpenters; the masons were laying in the interior the bases of the pillars when, on the 27th of May, a frightful hurricane, the most terrible experienced in the country in many years, burst suddenly on the hill of Nauvoo, where lightnings, thunder, wind, hail and rain, seemed united to assail the building. The storm burst forth so quickly, and with such violence, that the masons, overtaken unawares in the temple, had not time enough to flee before the northern wall, sixty feet high, bent down over their heads, threatening to crush them and bury them up. “Friends,” cried out the foreman, “we are all lost!” and indeed their loss appeared to be certain, for the southern and eastern walls, which had always been looked upon as the weakest, now shaken by the fall of the former seemed on the point of tumbling on them. But the running rubbish of the northern wall stopped at their feet. Now rushing out of the ruins, in the midst of a cloud of dust, hail and rain wrapped up in lightnings, thunder, and a furious blast of wind, expecting every moment to hear the two walls give way upon them, they succeeded in getting out, astonished at seeing those walls still standing, and frightened at the danger from which they had just emerged. The same blast that overthrew the wall of the temple, and sensibly dislocated and inclined the two others, took up and carried off the roof of the old school, when the walls, falling on the floor beneath, broke down the beams, and threatened injury to six Icarian women, who were working below. 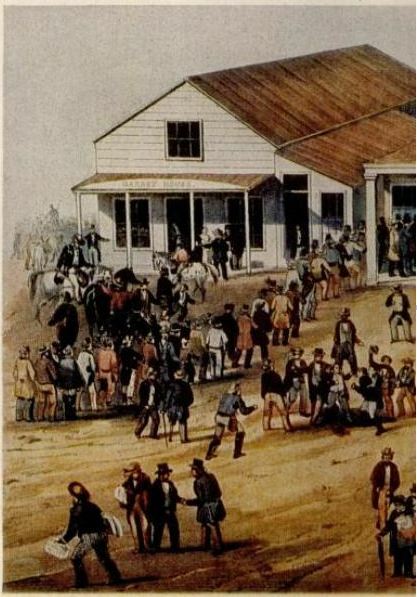 The creek, on the bank of which the wash-house of the community is situated, was so quickly transformed into an impetuous torrent, that the house was almost instantaneously filled with water, and fifteen Icarian women, then washing there were compelled to get through the windows in order to save themselves. They took refuge at the farm, whence they were soon after brought back in one of the wagons of the community. All the neighboring fields were ravaged, the fences overturned, and the windows broken. — One of the members of the Gerency got on horseback, and repaired to every place at which men were working out of doors, and soon bro’t back tidings that no personal accidents had happened. The same evening the masons, reunited and consulted by the Gerency, acknowledged and declared that the southern and eastern walls would soon fall down, and that, to avoid any serious accident, it was better to destroy them. 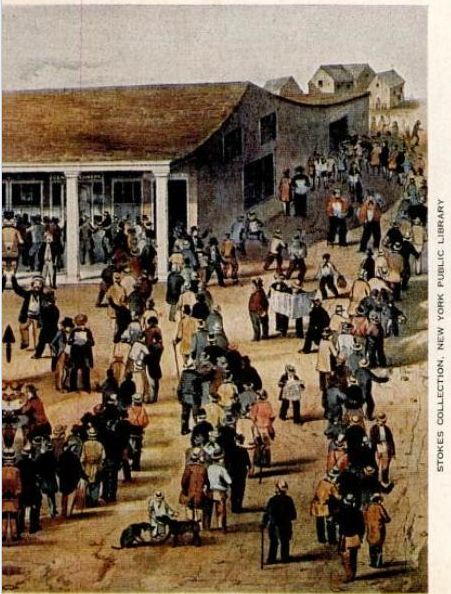 The next morning the general assembly, having been convoked by the Gerency, met on the Temple Square, and unanimously resolved; first, that the demolition was urgent, for the safety both of the members of the colony themselves, and of the inhabitants and foreigners whom curiosity might bring to the spot. Second, that by unfixing the walls, stone by stone, they might preserve some good ones. But as this operation would take up much time, occasion much work, and expose them to many fatigues and dangers, and considering the lives of men as much more valuable than money, they decided to use some other means. Those means having been discussed and agree upon, they set to work immediately, and the walls were pulled down. The destruction of the temple is a misfortune and a great inconvenience to the Icarian community; as they are thus obliged to modify their former projects and plans; but, persevering and courageous, strong in their union, and with the aid of their additional brethren, they will begin again on the place of the temple, provisional and urgent constructions that will serve until they build another large and fine edifice. DIG FOR IT AT HOME. Would you have the shining metal? Stay and dig for it at home. Stand for every ounce of gold. In the distant gold appear. On highways to pick it up. Stay and dig for them at home. Rightly sought the generous soil. Sought for a distant land. But success rides on before you! And the tides are rushing in. And strike the braver blow. Is cheapest bought with pain. That nothing pays that’s wrong. Is always sure to bless. Plow deep to find the gold, my boys! Plow deep to find the gold! What here we may obtain? And DEPTH to find the gold! As drained and deepened soil. Stir deep to find the gold. Dig deep to find the gold my boys! Dig deep to find the gold! HORRIBLE SUFFERING — STARVATION — MAN EATING HIS HAND — SHIPWRECK ON LAKE MICHIGAN. We are indebted to Capt. William H. Hopper, of the central road, for the following particulars, which we relate. Captain Hopkins, of the steamer J.D. Morton, while on her passage from Chicago to New Buffalo, on Friday last, discovered what he supposed to be a raft with some one upon it, some five miles in the lake. He immediately turned his boat and went for the object. He found the raft made of spars, with Capt. Davidson, of the schooner Thornton, upon it. It appears he was wrecked on the 31st ult., having been seven days and nights without food. Two of the crew, whose names he did not learn, with the captain, made the raft of the mainmast, main boom and main gaft. The two men dropped off on the third night after, having become exhausted for want of food. Captain Hopkins describes the scene as most pitiful. Captain Davison had commenced eating his left hand the last night! Several steamers and vessels have been in sight, and one vessel hailed him, but made no attempt to get him off. Of course the captain is exceedingly weak, but in a fair way for recovery. Capt. Hopkins, of the J.D. Morton, has shown himself a humane man and the public should recollect it. A collection was taken up for the unfortunate man, on the Morton, and some $10 was raised, mostly by the crew, headed by the captain. 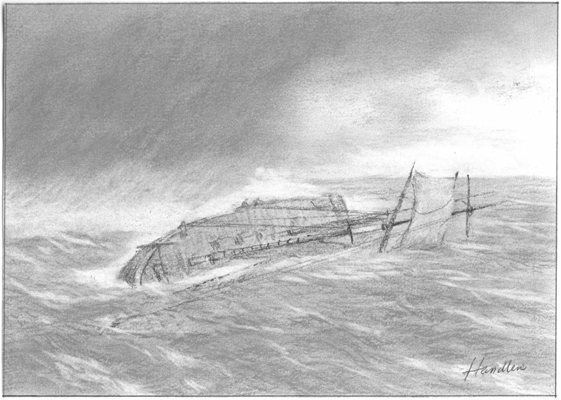 At the time of the disaster, the schooner Thornton, in charge of Capt. Davis, assisted by two hands, was on her passage from Muskegon, freighted with lumber, belonging to Mr. Parks, of the former place. The vessel was driven out of her course by the violence of the storm, and on Friday afternoon, when about six miles northeast of this port, she became unmanageable and capsized, precipitating the captain and crew into the angry flood. Fortunately, a spar, which had been lying loose upon the deck, floated near them, and all three grasped it, supposing the vessel had sunk, though she afterwards floated ashore. For the next twenty-four hours, the three shipwrecked men were driven about at the mercy of the wind and waves, they knew not whither; at the end of which time, (Saturday afternoon), the two companions of Capt. Davis, exhausted by cold, hunger and fatigue, relinquished their hold upon the spar, nearly at the same time, and sunk to rise no more. Capt. D. supposes that at this time, they were some where near the middle of the Lake. After the loss of his companions, Capt. Davis was driven about, he knew not whither; the only incidents occurring to break the dreary monotony being the sight of two or three vessels. Only one of them came within hailing distance; and this he thinks was on Monday or Tuesday, he is not certain which. The vessel was near enough for him to read her name (which we think not best to give at present,) and a man whom he supposes was the captain, seemed to see him in the distance, and afterwards several of the crew joined him and looked in the same direction. Capt. D. thinks they must have seen him, but the vessel held on her course, and the hope of rescue, which he had indulged a moment before, gave place to black despair. He cannot tell where he was at the time. From that time till he was picked up by the crew of the steamer Morton, between 9 and 10 o’clock A.M. on Friday, there was nothing to relieve the horrible monotony of this lone, aimless, voyage, except that at one time he drifted within about a mile of the eastern shore of the Lake; but he was then too much exhausted — too weakened and benumbed in body, and paralyzed in mind, to make the attempt to swim ashore. The pangs of hunger became so pressing, towards the last, that the poor sufferer attempted to reach a dead body that floated near him, with the dreadful thought of satisfying it by eating a portion of a fellow-creature, but it eluded his grasp. After this, he does not know when, he gnawed one of his hands to relieve the pain of famine, and afterwards he gnawed the other in the same manner. It is impossible for the imagination to conceive of the horrible realities of such a voyage — during which, for seven days, the poor wayfarer upon the deep, without a morsel of food, benumbed with cold, and with the prospect of death every moment — where day brought no relief and hardly hope, and the long dreary night added to the horror of his situation — was drifted at the mercy of the elements. Happily, however, by the operations of a beautiful law, by which the intensity of human suffering after a time deadens the capacity to feel it, Capt. Davis has but an indistinct remembrance of the trial through which he has passed. For most of the time he was in a state of semi-consciousness, and at times he must have slept, though the strong instinct of self-preservation enabled him, through all, to maintain a firm grip upon the spar. On being picked up by the Morton, every attention was paid to his wants which humanity could suggest, and a physician (whose name we were not able to learn) was taken on board at Michigan city, who bound up his wounded hands and otherwise ministered to his relief. — This morning he was quite cheerful, though much emaciated from his long famine, and the prospect is that he will shortly recover. It will be some time, however, before he will have the use of his hands, as they are very much cramped and benumbed by his long continued grasp upon the spar, and the gnawing to which they were subjected. His whole body, with the exception of his head and hands, being immersed in the water, he did not suffer much with cold until the last night of the exposure. He is of the opinion that he could not have survived another night. Capt. Davis is naturally a strong athletic man, as might be expected from the sufferings which he lived through, and we should judge, between 36 and 40 years of age. He is a Scotchman by birth, but has resided here for several years, where he has a wife and two young children, to whom he is happily restored. He has always borne the character of an industrious, honest man. Specs : 56x15x7, 49 t.
Place of loss : at Calumet, Ill.
We are indebted to the kindness of L.A. COLE and L.R. CADY, Esqrs., for an interesting letter from Mr. A. STECK., dated at Amador Creek, a branch of the Dry Creek, which is a branch of the San Joaquim, 50 miles from Sacramento city — Jan. 15-24, 1850. some portions, of a private nature, we omit. We ought a barrel of flour cheap at $75, but it was a little musty — $100 was the price, tho’ it did not cost over $10 to $20 at San Francisco. Potatoes here are worth $1.25 a pound, onions the same, beef 50, pork 50 to 100, sheet iron for a washer $2 a pound — other things in proportion. We can get enough to eat, such as it is. Digging is the hardest work I ever tried — chopping is “no touch” to it. A man cannot average $6 a day in the rainy season. The water gets too high, and the miner cannot get the dirt to wash. All the gold lies on bars, and in the sides of the banks, and in the beds of the creeks — nowhere else. It is found on the eddy side of the stream, and is evidently deposited there by the yearly wash of the hill sides for centuries. 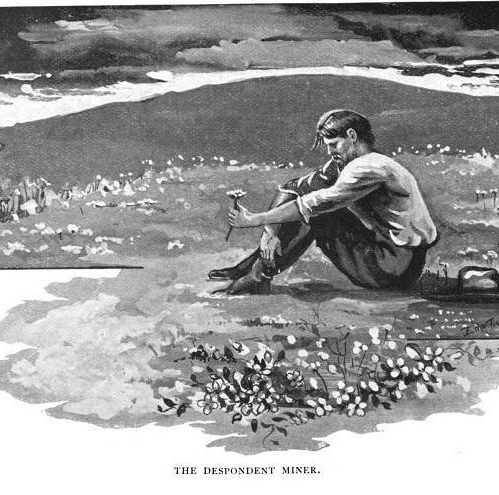 When disturbed by digging, and a freshet following, the gold is drivin down, and a new deposit made — but it is a poor one, and not worth digging. The dust is found amongst rocks, and it is nothing but quarrying. The washing part is not hard. They rainy season set in on the 1st of November, two months earlier than last year — stops a day and then rains a day — clears for a few days, then rains a few days — keeps clear perhaps a week, and when about fairly at work, when any thing can be done on account of the low water, it rains again and bursts the business. This is just the rainy season, and you have a fair idea of it. The temperature of the winter season, is not quite as warm as that of summer, but is never colder than a fall day in Wisconsin. A man would be laughed at with gloves or a coat on when working. The country is unhealthy, and is the first place that ever knocked me, yet. Hardel, son of Richard Hardell, who lives between Summit and Waterville, says mining is by far harder than any part of farming. He sometimes sleeps in our cabin on account of having none himself. There are no great sums taken out at mining. Under very favorable circumstances, a man may, in the dry season, make from 16 to 24 dollars a day. None of us have done much — paid expenses, perhaps, and that is all. We had a great Christmas dinner at our neighbor’s. It cost perhaps $50. There were about 12 guests of us. We had roast venison, pudding, dip, mince pies, sauce, pickles, &c. and whiskey! We all did justice to the feast, and toasted our absent friends. Plenty of butter here, kegged stuff, at $2.50 a pound — and rank enough. A man is not so strong here as at home. — The climate enervates him, I suppose. Cattle mire on the tops of the hills. — The low grounds are the firmest, and the ranchoes have thousands on thousands of wild cattle on the streams. Image from the NoeHill Travels in California website. 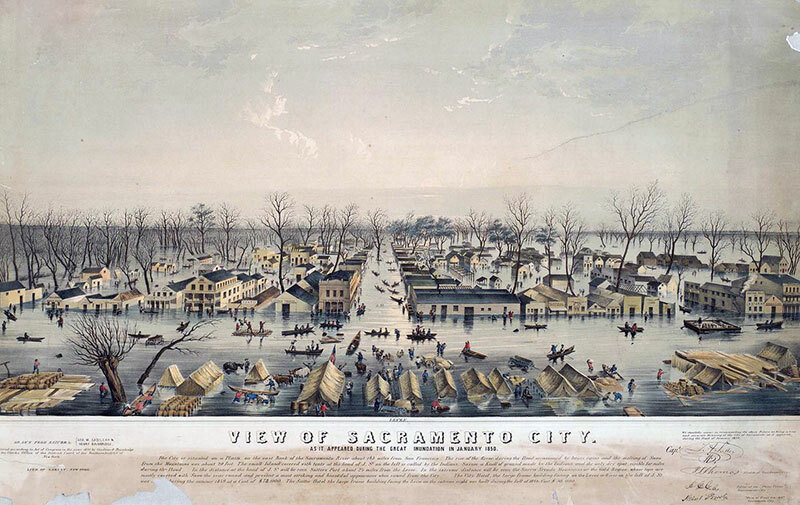 Sacramento city has been several times under water, and the people ferried the streets in boats like the good people of Venice. The American river rose 32 feet in less than two days. The city is at the junction of that stream with the Sacramento, and on as large a scale as Philadelphia — the houses made of cotton cloth stretched on scantling frames. A few stores, hotels, liquor and gaming shops are frame and covered with shingles. Monte is the game played here. It is very simple, and the money staked is lost or won in a second. Sometimes a stiff fellow comes in and slaps down a pile, and its gone or doubled in a twinkle. — The highest bet I knew of, when in the city, was $2000. I have seen Mexicans who have a passion for this game, bet every time from 50 to 200 dollars, until I left the establishment, which was after midnight. There were at least 100 monte tables, with at least $3000 in coin, and twice as much more in dust, stacked up in the middle of each. The scales of gold are usually about twice the thickness of cap paper, and ordinarily from the size of the smallest perceptible speck, to the size of a barley corn. The ravines which contain gold in the beds of the water courses, are called gulches, a corruption of gulf. Stores are opened in all the mines, and goods are abundant, though at enormous prices. Our letters cost us $2 each, and this one will cost me $1 to Sacramento city. You have long since heard that California has adopted a constitution with the Wilmot Proviso. I heard a rumor that a convention was in session at Monterey, making it, and the next thing I heard, was, that it was adopted. I venture to say that not 10,000 out of the 75, 000 miners, knew the day of its trial — and if they did, they did not know its contents. Image of Native Americans at Sutter’s Fort from Hetch Hetchy’s Native Blog on The Hive website. * * We have a great many Indians here — the most uncouth, ill-featured, gabbling, black, impudent rascals you ever beheld. They all wear pants, shirts and coats, but neither hats nor shoes. They squaws wear regular frocks. They are diminutive in stature, and lousy, all lousy, very lousy. We passed through a village of 800[or 300] Sioux lodges — the finest looking race I ever saw. “Bull’s-Tail,” the chief, is a little old man about 90 years of age. The whole of the band were gigantic, and much lighter in color than the Menominees, with clear, transparent skins, a lofty air as they moved, and a majestic mien as they saluted us with the usual “how’de’do.” They impressed me with my first idea obtained from books describing Indian character — the native dignity and majesty of the untutored red man. We lay by one day, and visited their camp. They had a horse, mule or pony for every man, woman and child, and I should think more. They were very neatly dressed, well armed, had good blankets and many fat dogs. I think there were full 1000 souls. Some of the young squaws were dressed in soft white fawn skins, as long as any American female’s dress — worked in flounces, with beads of every color tastefully arranged, with a band around the waist, and a kind of cape, ornamented. — Even the little children, many of them, were moccasined. When the mines were first discovered, and during all last winter, miners made with machines that would not wash as much by one fourth as those they have now, from 50 to 100 dollars every day — and now, with improved machines, make not more than an average of $5 when they work, and that is not more than one half the time. The men who are making the money in California, are the traders and rancheros on the lines of travel from the cities to the mines. The keepers of hotels and eating-houses, are “coining money.” At the City Hotel, they charge $1.50 for breakfast and tea, and $2 for dinner. Regular boarders pay $32 per week. 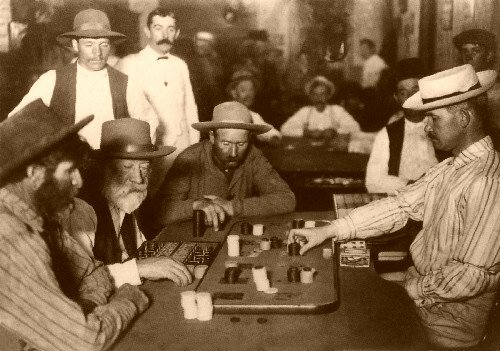 They have about 200 boarders — nine tenths of them monte dealers. The miners are by far the better part of the population. You will find an industrious sober and well behaved people, and in the city there is nothing but gambling and gambling night and day. * * * The Chilians and Mexicans dug the cream of the mines and made fortunes. In some places they chased out the black rascals — but still they go elsewhere, and will not leave the country. * * * There are here the largest, tallest and straightest pines in the world — hundreds of them 6 yo 7 feet through, and 100 feet without a limb, in the Siera Nevadas, and I have seen cedars 4 feet through and 80 feet to the limbs. The hills here are covered with evergreen oak, pine, and other foliage. I presume the oak to be of the live oak species; it is a very stunted tree, but most gloriously green. I can’t think such stuff fit for ship building. There is but a very small part of Calafornia that is worth any thing, apart from its mineral wealth. It is only on the larger streams that the land can be cultivated; and the valleys are exceedingly narrow. Every spot is occupied by a Rancho, and indeed was before the gold was discovered. The mines as now worked will be abandoned in a year or two, for it won’t longer pay, and joint stock companies will do the work. The mines are now well rooted over, and the chances not half so good as last year. Image by Wayne Johnson (with lots more pictures) in a post about Elko Hot Springs on the Elko County Rose Garden website. Definitely worth a look! I was so excited to run across the California Trail marker with a quote from Amos Steck! At the time I was searching for an image of the Green, Humboldt and Carson rivers for a previous Watertown Boys post. I have kept a journal from the time I left the frontier until the day I reached Sacramento, and have noted a great many curious things. I have not time to give you any part of it in a letter. We crossed a desert of fifty-three miles without grass or water, and our cattle stood it finely. We drove through in the night, and reached the Green River next day at 2 o’clock, P.M., having stopped but an hour and a half to rest a little. We crossed another desert in the night, to Carson River, from the sink of the Humboldt, a distance of forty miles, and there the cattle done finely. We passed a spring at Bear River that was nothing else than soda-water, and deposits of the salt were made so high, as to form quite respectable little hills, fifteen feet say above the surrounding surface. Near by were many springs of a red color, called beer springs, and had a very singular taste. We all drank of them. A short distance from these was the Steamboat spring, of clear, hot water, which rose up and fell a foot or more, resembling the puff of a high pressure engine. We observed the Indians had been boiling meat in it, and had left some by its side. We saw mineral springs of every variety; and in Hot Spring Valley, 500 miles, perhaps, west of the South Pass, we saw a number of hot springs — one so large as to form a decent creek, and hot to the boiling point. The steam rose from it as from a cauldron; close by is what is called Cold Spring, and cold it was, too. This was in the Basin. 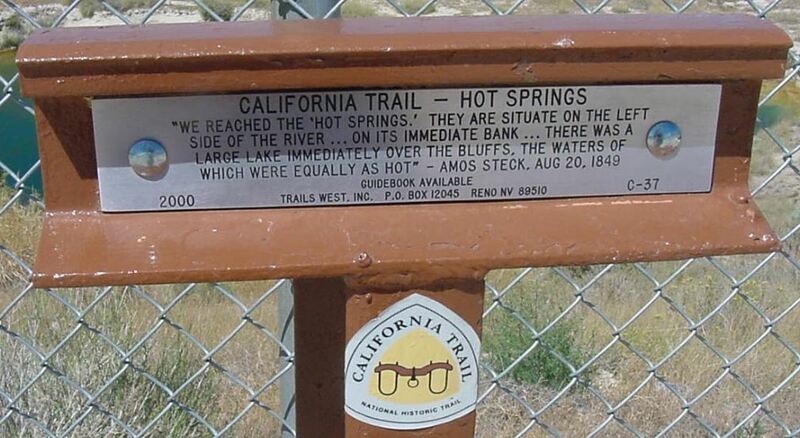 On the Humboldt were some springs that rushed like a cataract into the river, and were boiling hot. There was a lake of the same temperature about a mile off, but we did not go see it. The Humbolt River is a creek, just about big enough to have a name, but not of a river. It is a miserable affair. All the waters of the Basin sink away in the earth — the springs sink most frequently within a rod from the point of issue. We drank from a number of sulphur springs, and saw thousands of salt springs. The whole country is impregnated with salt, from the Rocky Mountains almost to the foot of the Nevadas. We saw lakes upon lakes of saleratus, as pure as ever was manufactured, and purer. We could have got ten thousand ship loads of it! A great many emigrants used it. It covered the waters of the lake six and eight inches thick. It was of course made from the water by evaporation, under the influence of the sun. It looked like ice. The Mormons get it in any quantity, and have always used it. The country in the neighbourhood of these lakes is nothing but ashes, as good ashes as were ever burnt from rock maple wood, but not quick, on account of the winter rains upon it. We passed through some fields white as snow, and as good lime as could be made from the stone, or from sea-shells. Clouds of dust, lime dust, ashes dust, and other dusts, sometimes enveloped us and the whole sky. No thunder storm that you ever saw looked so fearful. We sometimes disputed whether is was rain or not, but it always turned out wind and dust. The cattle during half of the entire way, sunk into the dust to the fetlocks, and for days and days up to their knees. 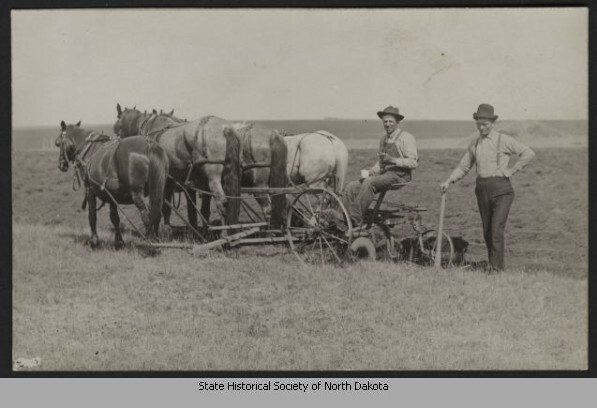 All the drivers had to do was to hold on to the ox-bow of the nigh wheel ox, and let it “swizzle.” * * * There is not timber enough from the Missouri River to the Nevadas, to build a railroad ten miles; and I have seen 500 miles without timber sufficient to build a chicken coop. Our fuel was willow and sage. The whole country from the Missouri to the Nevada is a prairie, and nine-tenths of it desert. We saw Buffalo, and eat them, as also antelopes, &c.
A number were received in town by Monday’s mail. Mr. STECK writes that he is employed in the Sacramento postoffice, at a salary of $200 per month. He had either seen or heard from most of our “boys” a short time previously. They were all well. Gen. GILMAN does not write very flatteringly. We judge from what we have heard of the tone of these letters, that our friends there are not realizing their expectations. We also received a letter from the “Rothschild of Coloma,” inclosing some beautiful specimens, to the value of eight or ten dollars. Thanks, brother LITTLE! Sacramento City, Aug. 29, 1850. * * * * I have abandoned mining, and am now living in the city and doing very well — much better than I could at mining. I advise every body who has a decent living in their States to stay there and not come here to mine. 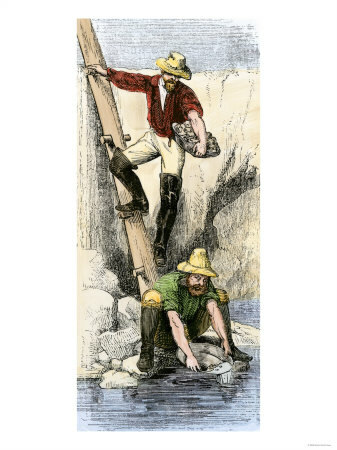 I can give you no better illustration of gold mining than you have in your own State in lead mining — the proportion of lucky fellows are now about the same; though in the earlier periods of gold digging, it was a certain and rapid road to fortune. The reason of this change is very plain. 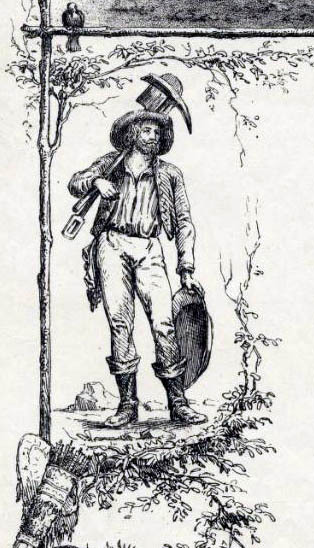 When first discovered, miners got out large quantities of the dust, not because it lay any thicker in the earth than it now does, but when the placers were first discovered the population was so spare, that every man was able to make out his “lead” without any interruption from his neighbors; that is, if a man found a lead which would pay him 50, 60, or $100 per day, he could work it all out, because his neighbors had holes which paid just as well. Now, however, if a lead is found which will pay an ounce per day, before the sun sets the lead is cut off by others, who are only waiting such discovery to pounce right in. Fifteen feet is allowed the discoverer, and in some instances less — sometimes more — this may be worked out in a few days, and he is thus compelled to move about to get another place to work. In the mean time his expenses eat up the profits of his last hole, and he starts anew. Thus nine-tenths of the miners live, and many will tell you even a larger proportion. 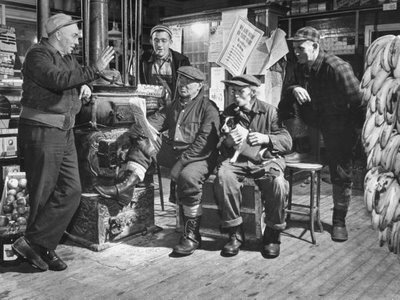 Labor in the mines has always been approaching, and perhaps stands in the same relation to capital, and other occupations here, as it does at home. Occasionally a company, large or small, will get out a pile in a fortnight; all such cases are chronicled here in the papers. Nine out of ten of all the stories you hear are false; nobody believes them here, they are the work of speculators and others. You may get correct idea of the change in mining prosperity from the fact, that business men are staggering under the load of responsibilities assumed under the belief, that the same success in the mines heretofore realized, would continue. Several bankers here have broken in a single fortnight, and others will break like pipe stems before another has gone by. Barton Lee, an Oregon emigrant, who settled here in May 1849, began trade with less than $500 capital, was actually worth, nine months ago, half a million dollars. No man here doubts it — he has often made 25 cents per foot on lumber, and turned the cash in three days. He has failed. 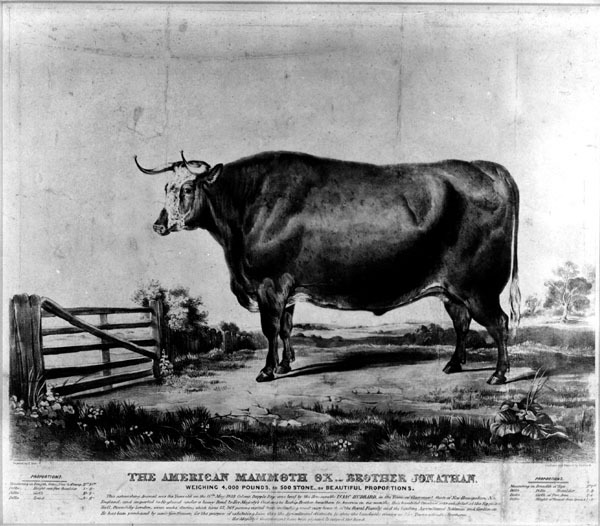 The reason of this failure unquestionably was, a mistaken notion of the yield of the mines; the deposits in his hands were not equal to his expectations: the prices of real estate, lumber, goods, &c., had greatly depreciated, the enormous sums expended in the erection of buildings, the rents of which had fallen, all contributed to crush the man. Had he sat still and sold every alternate lot in this city which he owned, and improved the remainder, he would now be worth more than a million; but like most men suddenly rising into notoriety and importance by the accident of wealth, he could not take care of it. Waldron had nearly a thousand dollars in his hands, secured by the endorsement of Mayor Bigelow, who has not yet broken. Waldron is perfectly satisfied he will be paid in sixty days. I presume Lee paid off a million of deposits before his assignment. This amount, recollect, was in gold, and was paid to that portion of his creditors here and in San Francisco, who apprehended his real situation. I see nothing in this city, (or at least not much,) that differs from cities in any western States, except the absence of females. A western man can more readily appreciate what is the state of society here, than the resident of a city in the States. All the excesses which are daily seen, is the result of the absence of intelligent and virtuous young women. Men who would be foremost in denouncing the “Public Hells,” so numerous in this country, had they their families here, would quietly “pursue the even tenor of their way.” These gambling saloons are the most costly and extravagant affairs in this extravagant country, — here, drinks of every kind, cooled with fresh Boston ice, are always to be had — sweetmeats, pies, fruits, and all the delicasies of this sunny clime, are here dealt out by the hands of familiar and voluptuous young females. Marvelously excessive quantities of strong drinks are here consumed nightly. Chandeliers, which cost extravagant prices in the cheapest markets of the world, sheds over the scene a dazzling light. — ‘Music soft as brooklet’s flow,’ is ‘floating, warbling, here below.’ — Bands of minstrels are pouring forth their melodies from ‘grave to gay,’ to seduce the passer-by to stop and drink, and venture for his fortune. — Crowds of persons throng around the tables, some venturing their little all — others gazing with little less excitement upon the hazard of the game — others again elbowing their way through the crowd, to catch the face of some familiar friend — while the bustle at the bar, the eternal jingle of money from more than a dozen ‘monte banks,’ and the occasional cry of ‘Eagle bird by chance,’ completes the picture of a California gaming saloon. I have stood and gazed upon the throng which nightly gather to these resorts, and wondered at the folly of the multitude. What monuments of magnificence built on the ruins of others! There are few distinctions in society, — men are nearly all of one rank, the wicked and the good stand up before the world as equal. We need the softly chiding and restraining influence of woman, to give rank to honorable and virtuous men, and break up these places that fatten upon sin. Our city was the scene of great excitement, of which you have heard by the last steamer. The mail boat with he mail from this office, left the wharf just after the mayor and several of the citizens were reported to have been killed. You will see the difficulty detailed in the papers which I send you; it is but fair, however, to say that the papers are in the interest of the ‘Sutter title party,’ and may be looked upon as rather ex parte than fairly made. All is quiet now, and has been for some time; the last hopes of squatterdom have for ever fled, though hundreds of people strongly sympathize with them — this sympathy is principally in the mines. There are no apologists for their recent conduct in this city, although opinion as to the Sutter title, may be considered equal amongst those who ought to understand such questions. The buckskin coats, red flannel shirts, and other outre habiliments, have generally given place to the neatly starched white shirt, with standing collar, in one of which I find myself up to my ears every morning. I board at a very excellent hotel for an ounce a week, payable every Saturday night; all the clerks, numbering some seven or more sleep in the office. The last mail from the States brought over 15,000 letters, and the next will be heavier still; I mean for this city office. We get the mail within one or two days of the time expected, and that too every two weeks; so you may suppose a berth in this office is no sinecure. I have seen Lieutenant Wright, John Levitt, Waldron, Stevens, Winders and Stimpson, within two weeks, and wrote to and received a letter from old Jimmy Rogan. Bracket and Bailey I know nothing about, although I have made inquiry for them very frequently. The postmaster, an old friend of mine from Penn., has gone to Washington on business, and left this office in charge of a very sociable and agreeable young man fully equal to the position. I received your letter, (written in last June), and sent it to Rogan. Stimpson has gone to Haughton, about fifty miles from here, and his health is very good, he is very fat, and feels sanguine of making his pile after all his ill-luck. Old Jim is in a dam company on the north fork of the American; the dam is not yet finished. I heard from him to-day, he says he will be into the bed of the river in a fortnight; I hope a fortune awaits him. Remember me to all my Watertown friends. Letter from A. Steck, Esq. SACRAMENTO CITY, Oct. 29, 1850. Considerable alarm pervades the public mind in this city concerning the cholera, and hundreds are leaving the town in hopes of escaping it. I shall weather it out, or fall a victim. Image from the Apr 27, 1959 LIFE magazine on Google books. It is literally true, and almost the same scenes are here witnessed on the arrival of every mail from the states. 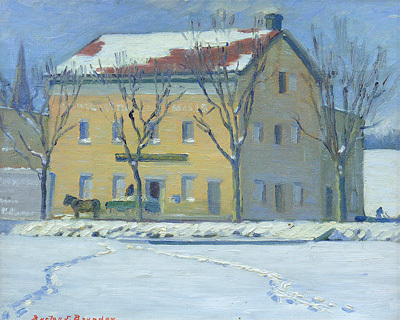 At the peep of day on any morning can be seen a line of men to each window of the general deliveries of the postoffice, anxiously awaiting the opening of the office at 8 o’clock, to get their letters; and many a time have I seen persons taking their breakfasts in the line — some sitting on stools which they had brought with them, sipping their coffee, whilst others called to a neighboring bar keeper for a stiff “eye-opener,” having just crawled out of their blankets and came to the postoffice to wait their turn to ask for letters. The way they operate to prevent quarrelling amongst the outstanders, is to form into a line, and each man is served in order in which he stands in the ranks. As one is accommodated, he leaves the window, and another makes his inquiry. No more than one name can be asked for at one time, else those at the tail end of the line would never get their letters. If any man wants more than his own letters, he is obliged to go back to the extreme end of the rank and train up to the window. We have four general deliveries at this office, and the training up goes on every day from morning till night. In addition, we have two box deliveries, a ladies’ window, advertised delivery and newspaper window. That’s considerable for an office not much more than a year old. There is no news of interest from the mines other than you will have seen by the papers, of which I send you several. The Whigs will have a majority in the next legislature, and ought to elect an United States senator, but I fear they will be cheated out of it by the Locos. I have written so many letters about the gold regions that what I would say here would be but a repetition of what I have written heretofore. As to all your acquaintances here from Watertown, you can call upon Mr. Cady and get information, if you desire it from him. Your acquaintances here are always calling on me for your paper, and I never get it myself. It don’t come to this office, if you have sent any more, they never came to hand. If you will send it, I will send you Sacramento papers every steamer. The principal items of Watertown news here come through the Milwaukee papers, and every item from your paper is seized with the greatest avidity by the Watertown boys. The elections in this city lately were not contested on political grounds, but in another year the whole canvas will turn upon partisan questions. In San Francisco the party lines were drawn, but no where else in California. I think the Whigs have a clear majority in this state, and if they are not fools, they will assert it. *The first part of Mr. STECK’s letter is devoted to a contradiction of the report that GEO. G. BLODGETT, Esq., formerly of Milwaukee, had had his head shaved and his ears cropped by the Mormons at Salt Lake. — Our readers will recollect that we made a like correction some months ago. We received the report from what we considered a reliable source; and our only object in publishing it was to acquaint the numerous friends of Mr. B. in this state, of the outrage which we supposed had been committed upon him. + If the Chronicle is not regularly received at Sacramento City, the fault is not ours. We have mailed it, almost every week, for the past year, either to Mr. STECK or to some of the other Watertown boys. Beside, we have two subscribers in that city, who emigrated from other sections of this state, to one of whom our paper had been regularly sent for six months past, and to the other for about two months. We cheerfully accept the offer of an exchange maybe by Mr. S.
Good or bad a thousandfold! Where lots of goold is found. To seek the yellow ore. In wedlock we will steer. My love, to marry you. To my brother, on leaving for California. Than bandit’s steel, or foemen dread. But trust thou in the arm of God. Of savage, and each hostile band. Will whisper, thou are far away! Forget not then — forget not then. Thy sister! — may we meet again! The critter can’t be beat. I had upon my knee. A quarter what he knew. That a grizzly bear devoured him! And its a very bear-faced Hoax. A tootin’ and a blowin’. ‘Cause all their hopes is ORE.
Because the claim was his’n. And so I didn’t feed ’em. In another kind of hill! Some gold in every tater. The fools may drink the whiskey. And luck to all who try! Why, brothers, don’t you cry. ARRIVAL OF THE WATERTOWN BOYS. Sunday’s mail brought California letters from Gen. GILMAN, H. WALDRON, S. STIMPSON and Dr. MEYER. The gratifying intelligence is conveyed by these letters, that all the Watertown boys had reached the El Dorado of their hopes, after long and patient toils and privations, in good health and high spirits. We have been kindly furnished the general’s letter for publication. It will be read with interest by his numerous friends here. Mr. WALDRON‘s letter states, among other things, that the oxen, wagons, &c., of the company which cost about $900, had been sold for something over $1,000. SACRAMENTO CITY, Oct. 14, 1849. Here I am in California, upon the bank of the Sacramento river, and in the city of Sacramento — a city four months old, whose buildings are mostly made of cotton cloth — a city containing from fifteen to thirty thousand inhabitants; nobody knows the exact number. A great amount of business is done here. Some thirty ships lie along the river opposite the town, many of them from Boston and New York. Every business and laboring man seems to be making money at a rate unheard of before. Prices of manufactured articles and labor are very high. — Common labor is $10 per day and found. Mechanics get from $20 to $25 per day. Pork per barrel $40, flour $9 per hundred, beans 8c per lb., potatoes $1.25 per lb., onions $1.25 per lb. I paid a few days ago 50c for one onion which weighed 7 oz! Board at the public houses is $4 per day. Women’s work is very high — washing, for instance, is $12 per dozen, and every thing else in proportion. In the common eating houses, (and there are many of them,) we can get a meal for a $1. Apple or grape pies, baked upon a common breakfast-plate, are 75c. I paid yesterday $6.25 for a new 5 gallon keg. I filled it with molasses syrrup, at $1.25 per gallon. I paid $16 per hundred for Sandwich Island sugar, a good article; 60c per lb. for dried apples, 75c per lb. for dried peaches, tea $6 for an 8 lb. caddy. Fresh beef sells at the butchers from 20 to 25c per lb. The price of labor in this country is governed by the amount of gold realized by the miner per day. A laborer gets from $250 to $500 per month. Every body is willing to admit that a man in the mines can make his ounce per day. 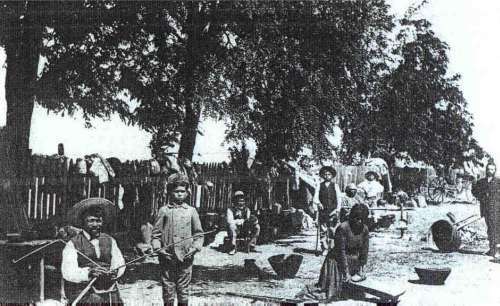 Some men who came here in July or August, have made and brought to the city 40 or 50 tons of hay, which they are now retailing out at 10c per lb. Oregon sawed lumber sells for from $350 to $500 per thousand. Shingles $50 per thousand. I am preparing and am nearly ready to go to the mines. I intend to dig this winter — am going in company with Stimpson, Glines and a German from Milwaukee. We arrived here on the 7th of this month, and after selling our team and all traps, and dividing the money, I had about $100 for my share. My poney, which would have brought me $100 at auction, strayed from me a day or two before we came here. I had my health good all the way after I left Independence, except some slight affection of scurvy, a disease which prevailed among the emigrants in the latter part of the journey. We surmounted all the dangers and difficulties of the journey without the loss of an ox or any accident of any kind, except the breaking of an axeltree, and that was done near Independence. I kept a daily journal of the whole route, which when I have time I intend to write and send you. I cannot advise any friend of mine who intends to come to this country, to take the overland route. There are too many dangers and difficulties to contend with. It requires the most indomitable energy, perseverance, watchfulness and incessant labor to effect the journey successfully. There is no lack of feed for stock until you come to Fort Laramie. From that to Green River, on the west side of the Rocky Mountains, the country is a barren waste. Feed for teams is scarce, frequently having to drive our oxen 4 and 5 miles from the road to get grass for them. From Green River onward until we got about one-third part of the way down the Humbolt, grass is abundant. From thence until we came to Carson River, the country is a dismal desert. The water is all bad, and in most instances poisonous to man and beast. The only safe water is the sluggish Humbolt, which continually grows worse as it approaches the sink. It then becomes so foul cattle which drink of it will die in a few hours. Men have dug wells at the sink, whose water is taken to last man and beast 45 miles, the distance from the Sink over the desert to Salmon Trout river, (the old route,) and that of the new one by Carson river, is about the same, 45 miles. This distance cannot be made in the day time. Cattle cannot stand the heat of the sun, when reflected from the surface of the sandy desert. Salt an inch thick lies upon the surface. — From Carson river we had grass until we came within about 60 miles of the western foot of the Siera Nevada. Thence to the foot of the mountains, our only feed for cattle was oak leaves, procured by chopping down trees and turning our cattle loose to them — thence dry grass to the Sacramento. No rain falls during the summer season west of the Laramie; consequently a cloud of dust constantly enveloped man and beast, which was our greatest annoyance. Now, my advice to any one and every one, who wishes to make a fortune in the shortest possible time, is to come here. I do not care what a man may set himself about; if he is prudent, he can clear from two to fifty thousand dollars in a year, provided he has his health. I intend to dig until spring in the mines, if I have my health — then I may do something else. California — Letter from General Gilman. CALIFORNIA MOUNTAINS, Nov. 28, ’49. MY CHILDREN — I am now in the mining region, and located for the winter. I am on the Calabarus river, about 20 miles from its mouth. You will see my location by referring to Fremont’s map. Our party consists of six, viz: Stimpson, Glines, Blaucher, (of Milwaukee,) a Dutchman, a Scotchman and myself. We have been digging gold about ten days. We do not get it as fast as many anticipated, or many at home suppose. The product of our labor has varied from 1 1/2 to 7 ozs. per day. Day before yesterday, we got the latter quantity — yesterday about 3 ozs. Glines has worked but little. Stimpson has not been out of the camp since we came here. He has not yet got rid of the scurvy, and consequently is lame in his limbs. My own health is good, except that I feel the effects of the scurvy in my knees, but not to hinder me from working. The whole country has gold. Every river and brook, every ravine and gorge of the mountains, has more or less of the precious metal. 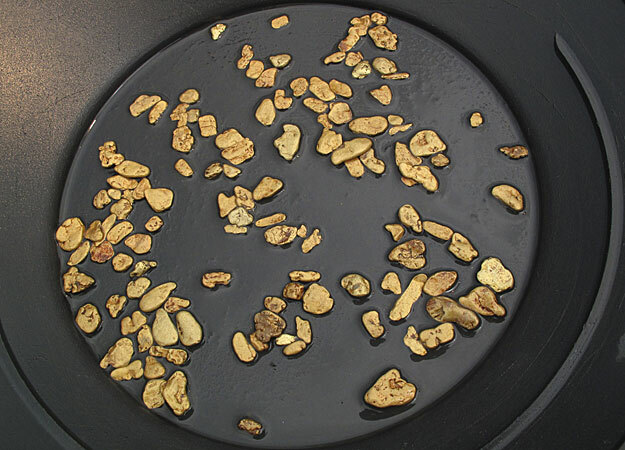 In prospecting, I find gold in every place. But the ravines, which are called “gulches” here, are where it is dug for. — That which we have obtained is called coarse gold. In size it varies from a three dollar piece down to a pin’s head, is round, and in every other possible shape. It has all been melted, and thrown out by the action of volcanic fire. I would advise none of my friends to try the overland route. Tell them to go by way of Panama. * * * I have not eaten from a table, or slept on a bed, since the 18th of May last. * * * The largest piece of gold which I have seen, weighed five ounces. * * * Provisions very high, and freights from Stockton to this place, (40 miles, and road good,) 50 cents per pound! * * * Our currency is pounds and ounces, and not dollars and cents. 1849 Stockton Main St. image from the San Francisco City Guides website. The following is a letter from Gen. JOHN C. GILMAN, of Watertown, now in California, to our fellow citizen, Wm. M. Dennis, Esq. who has kindly handed it to us for publication, that the numerous friends of Gen. C. may know of his whereabouts and learn of his welfare. DEAR SIR, — I have located myself for the winter upon the Caladarus River, nearly due east from Stockton and San Francisco; Stockton is 45 miles distant. The winter here is made up of rainy days, and weeks of fine weather. It is the Spring of Wisconsin — April and May weather. The rainy season commenced about the middle of November. We expect it to cease about the middle of February. Vegetation commenced with the rain; and although I am among the hills, which form the base of the mountains, I have seen but few frosty mornings. I am upon the western verge of the gold regions. The diggers in our vicinity make from five dollars to an ounce and a half per day. I have, since I stopped here, made two ounces in about half a day; it is not frequent that such an amount can be got in this vicinity. The ravines all have more or less gold — none very rich, and very few entirely destitute. The one upon which we designed to dig for the winter was a good one. We found forty or fifty Chilinoes at work in the gulch (ravine). Soon other Americans came, and we have a village of tents and log huts of some twenty in number, each containing from two to four men. The men of Spanish descent, (Mexicans and Chilinoes,) are, in point of numbers, the dominant party in these southern mines. They not only assume the right to dig, but to dictate to Americans when they may or may not dig. This assumed right the Chilinoes commenced to practice upon with our own village. 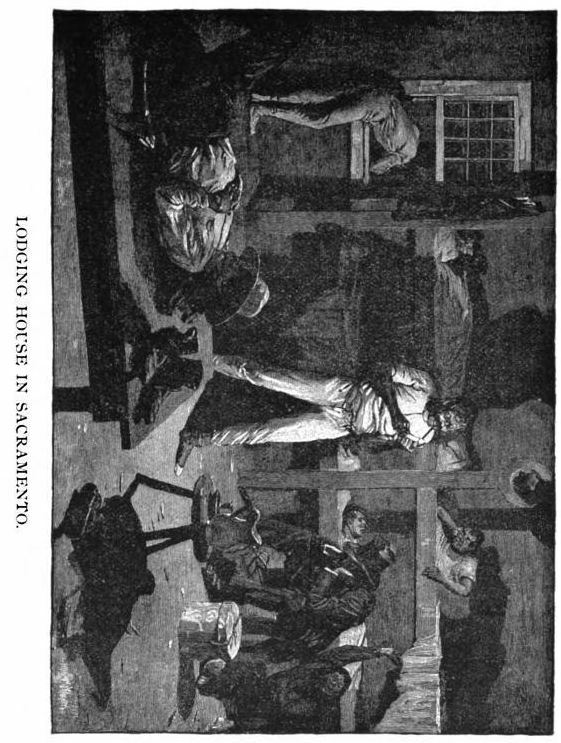 Image from the Kidport Reference Library article on Gold Rush Law and Order. 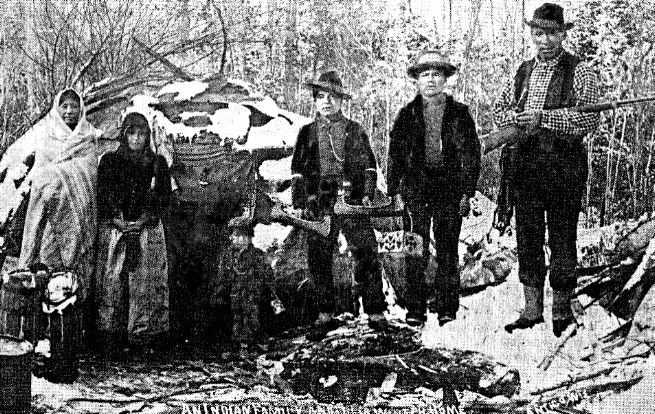 Some three or four of our men went with their mining tools into a gulch, where a camp of about thirty Chilinoes were at work, our men were soon surrounded by the Chilians, armed with knives and pistols, who ordered them to leave, which they did, leaving behind their washers and mining tools, which the Chilians destroyed. A complaint was made to our Alcalda, who sent a force, and arrested the Chilians, and had them before him — fined them, and ordered them to leave the place. This was on or aobut the 18th of December. On the 28th of December, at ten or eleven o’clock at night, some detached camps of our village were assaulted by some fifty or sixty Chilinoes, all armed, and two of our most worthy men murdered upon the spot, and the ballance of the men of these camps were made prisoners and marched off, three or four of whom were badly cut and wounded — twelve prisoners in all. 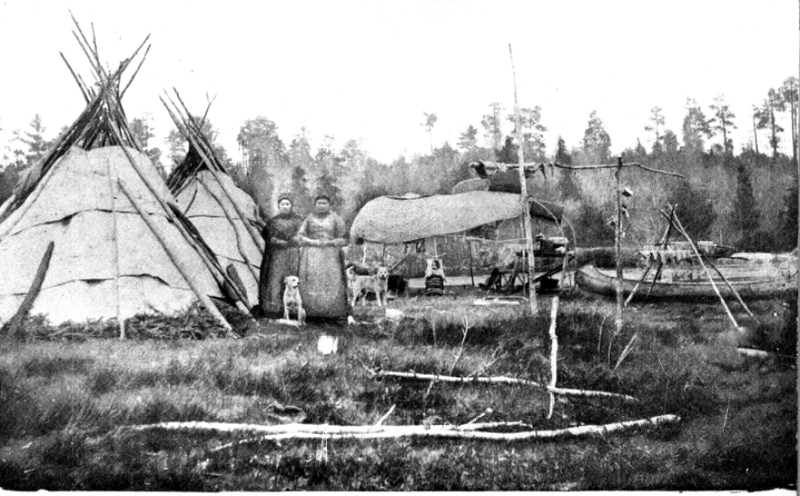 These camps are about one-third of a mile from my tent, and where the most of the settlement is; we knew nothing of it until the next morning. I was upon the inquest held upon the bodies. Major Andrew Elliott, of Orlenas Co., State of N.Y., was one of the murdered men, and a Mr. Star, of the same place, the other. Their bodies had ghastly stabs and cuts made with large knives upon them; one dead Chilano lay near, with a bullet hole through the face and head. Our men mustered, and followed the Chilian band. They took the road to Stockton. The prisoners were all rescued, the whole band made prisoners and marched back to our camp; they were forthwith tried by a jury of twelve men, (the Alcalda acting as judge,) sentenced — three were executed by shooting, one whipped and his ears cut off, and the remainder received from twenty to one hundred lashes upon the bare back, and ordered to quit the country. They obeyed the order without the least hesitation. I can tell you that Chilanoes and Mexicans hereafter will be mighty scarce in these diggings, I mean those that have whole skins. With regard to the country generally, in my opinion, it has not been over-rated in any particular; its agricultural susceptibility, its now spontaneous productions, and its present herds. Why, the truth has not been half told, or if told, has not been understood. The common cattle of California are the largest and finest I ever saw; and as for fat and good beef, I never saw its equal in any market. 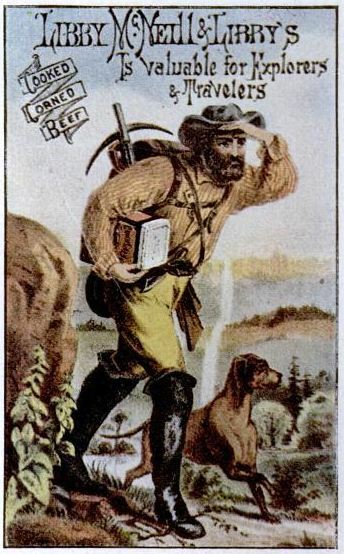 I believe also, that the mineral wealth of California is yet to be developed in the main; all the gold yet taken is surface gold — not a vein or a lode has been found or worked, with the exception of two, one on the Maralumny River, found this winter, and the other is on the Maraposa River, and worked by Colonel Fremont’s indians. 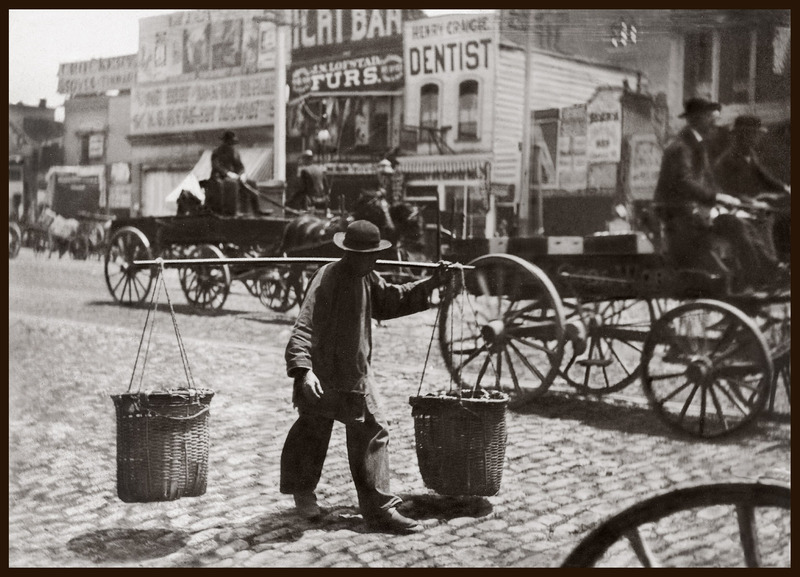 Image of Chinaman in 1860 San Francisco from the San Francisco Images blog. A man with some means can make a fortune here quicker than to dig for it; one or two thousand invested rightly in goods in N.Y., and sent round the Horn, is all that a man accustomed to trade wants. The common Stoga boots are selling this winter in San Francisco and Stockton from two to four ounces per pair, shoes of the same quality half an ounce. I am now wearing a pair of boots which cost in Stockton two ounces of pure gold, such boots as you sell in Watertown for $2.50. 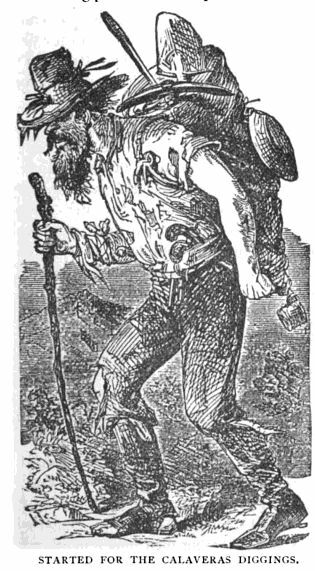 Pants, flannel shirts and drawers, are equally high in the mines; the common blue blanket sells at the mines for thirty or forty dollars per pair, and vegetables and eatables of all kinds are still higher. Flour $1.25 per lb., pork $1.00, beans $1.00 per lb., potatoes $1.00 per lb., onions the same, brandy per bottle $4.00. The man who travels the road from San Francisco to the mines, pays at the tents which are set up for entertainment $1.50 for a meal of victuals, $1.00 per quart for barley or corn to feed his mule, $1.00 for sleeping on the floor in his own blankets, and fifty cents for any kind of spirits per glass. Men cannot be hired to work for less than ten dollars per day, at the same time one half of them does not make five clear. I cannot particularise farther, the foregoing is true, and such is the chance to make fortunes; the prudent and industrious will make money, the idle, the dissipated, and those out of health, will be as poor here as in any other place. If some of you speculators will come out, and bring with you a stock of goods, and open at Stockton, I will come in with you and operate in the mines. Stimpson has left the camp, and gone to the Sandwich Islands sick with the scurvy. Glines has left our company for Stockton very much out of health, his lungs are affected, and some degree of scurvy; as to myself, the slight attack of scurvy I had on the Humbolt is wearing away, and my health is pretty good, and I have every confidence of enjoying good health in this country. The rest of the Watertown boys I have not seen or heard from since I left Sacramento; I think they must have gone up the American fork. I have not yet received the first letter from home. I cannot write to all I would wish. Please pass this round to Enos, Chappell, Besley, Ned and P.V. Brown, also to my children. If any of my friends come out, let them come by Panama, there is too many great dangers attending the overland route, waggons and pack mules are equally exposed, a correct idea of which I could not give you by letter without some more labor and time than I have at present to spare. Gambling is done in the towns in this country on the big side; all the taverns and dogeries, and all saloons (and there are many,) are gaming houses. In the best house in Stockton, which is a tavern, there is one faro bank, three monta tables, two roulettes, and one billiard table, all in the bar-room. Thousands of dollars lie stacked up on each table. I was at Stockton a few days ago, and stopped at this house for a day or two, and witnessed some of their operations. 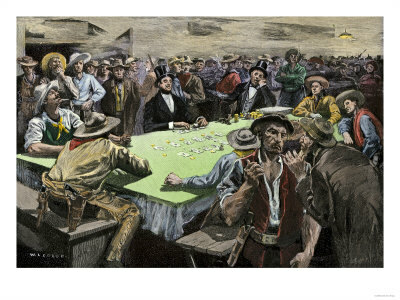 Money changed hands rapidly — thousands of dollars would be won and lost in a short time — all were cool, and no excitement — not a word of discord between the better and the dealer — one hundred eagles bet upon a single card. The above is a fair sample of the business done in this line in California. Monta is the favorite game of the South Mexicans and Chilians, and they all bet with apparent carelessness. Taft, of Milwaukee, U.S. House, and Robert Maloney, got up and opened a large tavern house in Stockton, some time in december, at an expense of thirty or forty thousand dollars, in about ten days from opening of the house, it took fire and was burnt down, all was lost — Taft has gone to the mines. I heard of Bristol at San Francisco, he was in the public hospital and not expected to live. Saw B. Crangle at Sacramento, he was home-sick, and talked of returning home. W.S. 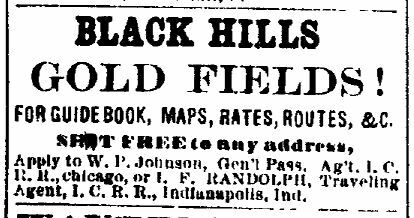 Hamilton and Olinger is on the American fork; O’Neal of Mineral Point is in our camp; Doctor More of Beloit is at Sacramento; Lieutenant Wright I cannot hear of. 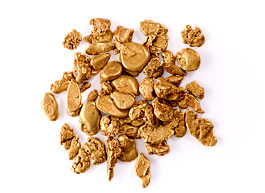 As soon as the rainy season is over, I intend to explore some of this mining region; it is believed here that the Gold Region Proper is far up in the mountains to the east. I have seen a newspaper report of an Exploring Expedition which went out last Summer, they report the whole western slope of the Serra Nevada Mountains to be composed of quartz rock, and all bearring gold; their experiments and tests show that the least quantity of gold extracted from the pound of rock was one dollar, and that the best yield of pure gold to the single pound was fifty-four dollars and fifty cents. Specimens of every variety of the rack have been forwarded to Washington by the senators elect from the State. All the gold taken in California is called by miners surface gold, it has escaped by some means from the place of original deposit, and has been scattered into all the ravines, brooks and rivers, by the agency of water, and that the places of the original deposit will shortly be discovered, I have no doubt. P.S. — I now think that letters addressed to me should be directed to Stockton. 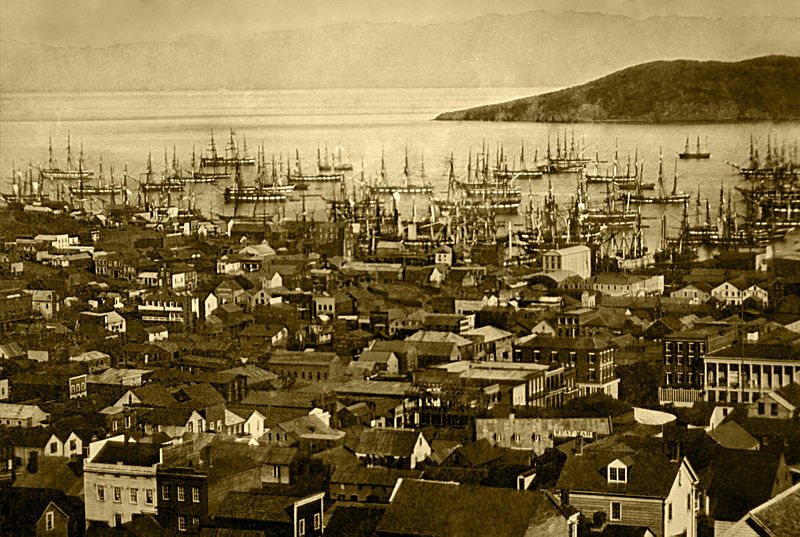 Image of San Francisco Harbor – 1851 from the Sparkle Tack blog. The river turning business has proved total failure throughout the mines generally. Homeward bound vessels are filled with passengers, but still the increase of population is wonderful. Trade increases, and cities rise upon the plains. Thousands are turning their attention to agriculture and cattle growing, and yet the mines are overrun with diggers. Thousands will return home as poor as they came, and many much more so, while others will return rich. Many return without an effort to make money. A more disappointed lot of men I never saw, than those who came over the plains this year. 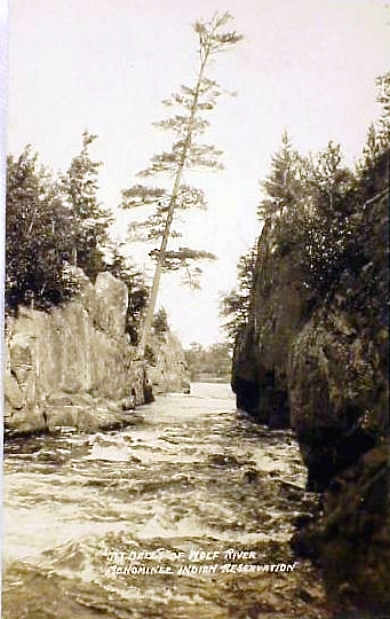 Rootsweb hosts, the “Menominee Land and People” page, which is where the Menominee images in this post can be found. NOTE: I left the misspellings/typos as found in the newspaper articles. The proceedings of the public meeting lately held at Wau-Kau, on the subject of the removal of the Monominees, will appear in our next, as also a description of the village of Wau-Kau. At a meeting held at Wau-Kau, Feb. 15, 1848, to consider our relations with the Menomonee Tribe, L.M. PARSONS, E.D. HALL and S.M. WHITE were appointed to report resolutions expressive of the sense of the meeting. 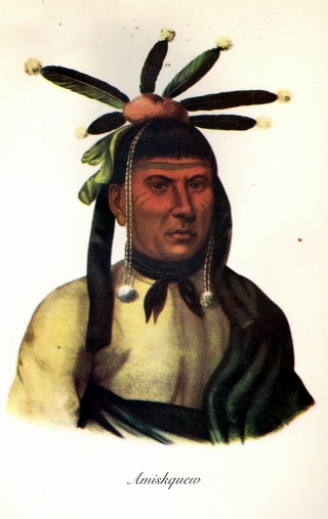 The committee instructed to draft resolutions relative to the Menomonee Tribe of Indians, desire to preface the resolutions which they propose for adoption, with the views they entertain of the relations existing between the red and white man, and the fundamental law upon which they are based. Your committee believe that the rights of man are vested in his necessities; that whatever is necessary for the moral elevation of a people, they have a right to possess and enjoy; and that all laws, common or conventional, which contravene this principle, are null and void and of no binding force. Fro when there is no necessity, no good to be secured, there is no law. To secure harmony of action, define the limits of existing necessities, and discover those which are essential to progress, conventional bodies are essential to proclaim the law, but their commands have no power where necessity does not justify the action. No body of men were ever legitimately authorized to make laws. 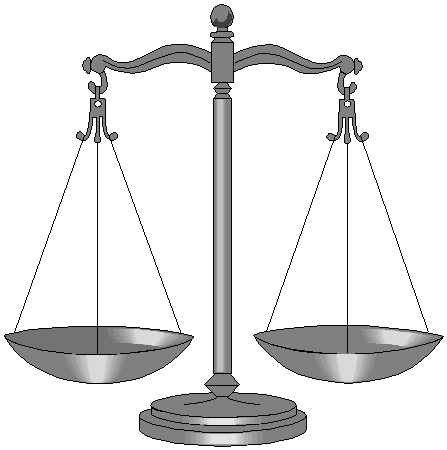 The statutes were enacted in heaven; man has no right to add to or diminish therefrom. It is the business of man to discover, enforce and obey them, instead of enacting his own will. The earth is dedicated to goodness, and the means essential to its attainment are the laws of all beings capable of participating the Deific enterprise. Existing states of mind seem to indicate three classes of necessities. The arrangement of means to promote discoveries, adapting the present to the future, belongs to the 3d class. Now it is obvious, that all the means should not be limited to either class of enjoyments; that it is usurption, monopoly in the highest degree, for a people devoted to the first class of necessities, to withhold the means essential to the higher demands of intellectual life. Progression is the order of heaven, of the earth, of matter, of mind. A nation to stand still must perish; the world will pass by her. Progress is the accouching spirit of man’s immortality. Nations as well as individuals, who will not progress, aspire to the glories of intellectual life, to the model of Deific excellence, must perish. God hath so willed it. Man must eat, incur responsibilities of a higher character — responsibilities which urge him onward from the desert of organic impulse, to the pleasure of intellectual life; from the locality of the finite to the universality of the infinite. The possession of land is essential to every class of enjoyments. Neither individuals, tribes nor nations, have any right to it, except as they make it the means of elevation and progression. The right to possess in the dowery of heaven. Man cannot claim an endowment before his marriage to husbandry; he must write his title deed with the hoe and seal it with the spade. Science must acknowledge its execution, and the arts admit its registry. In such a title, God hath established man’s physical salvation, and like the waters of life, he hath made it free to every one who will perfect his title thereto. The earth is sacred to the high purposes of Deity, to all that is excellent, to intellectual life. Land being the gift of God, is above all price — sacred to use and not to monopoly — sacred to life, to freedom, to independence, and to posterity. In the service of cultivating and ornamenting the earth, man enjoys the highest pleasure of physical life. But he who performs this service impelled by the love of the excellent and the intellectual redemption of man, enjoys more; a pleasure scarcely less than that of creating. The Menomonee Tribe have not made sure title to the land they occupy. From the beginning, they have stood still; they would neither cultivate nor ornament the land; they would not enter into the plans of the Deity — make the present better than the past. The social world has gone by them. It has built temples too high for their perceptions — altars too broad for their devotion. IT claims an interest in a sacrifice too sublime for them to appreciate, and ultimate blessings which have no form in their visions of the future. They worship other gods, moddle their mind after inferior objects, fashion their heaven after the waste places of the earth, and measure its joys by the pleasure of the chase. The dog is their boon companion in life; they mingle spirits in death and hope for a common immorality. The presence of such a people on our borders, hinders the progress of civilization, and deranges every department of business. Both suffering a loss of which affords no prospect of ultimate advantage to either, for the good of the white man is evil to the red, and the good of the red man is evil to the white. The contact is ruinous to both. Man, without knowledge, cannot participate in these gatherings. Knowledge is the life of the mind, its exciting element, but death to the body when made tributary to the excitement of the senses. And ignorant man could not live in the garden of Eden. All men who will not avail themselves of the councils of science, must be driven from its presence. God hath so willed it. As it was in the days of Adam, so it is in our day. All men fall in the scale of being, degenerate and must ultimately become exterminated, as nations, tribes or clans who will not build themselves up by educational influences. In all these matters, the Menomonee stands condemned. He invokes the penalties of ignorance; the law of progress commands them to hide away from the light of science, to turn away from the pleasant paths of art, to be driven from the pleasures of Eden — from the tree of knowledge, that the Lord at this coming may not see the day they have sacrificed, nor smell the incence of their altars; lest goodness and truth in their beauty and excellence be hindered in their progress over the earth. Resolved, That this meeting regard it the imperative duty of every lover of man, every one who desires his moral elevation, his restoration to an equal heritage in the gifts of God; every one who hates monopoly and its kindred slavery, to raise his voice against the high handed usurption of he Menomonee Tribe, in withholding their lands from culture and consequent aid in perfecting the intellectual redemption of man. Resolved, That a committee of three be appointed to circulate petitions, addressed to the President, urging him to conclude a treaty with said tribe, with as little delay as circumstances will admit. Resolved, That our friends and the friends of land culture and equal distribution, be solicited to co-operate with us in this matter. At a meeting held at Wau-Kau, on the 20th of February, 1848, L.M. PARSONS was appointed a committee to prepare a description of our place for publication. At a subsequent meeting, the following report was presents, adopted and directed to be published in the Watertown Chronicle, and such other papers as may please to copy the same. Location — On the outlet of Rush Lake, 2 1/2 miles north of said lake, 2 1/2 south of Fox River, 12 west of Oshkosh, 10 east of Strong’s Landing and 14 north of Ceresco. Settlement — Commenced March 7, 1846. Nearest neighbor was then 10 miles distant. The country is now well settled by eastern people. Water Power — The stream falls 70 feet in two miles, so that the water can be used over six times. 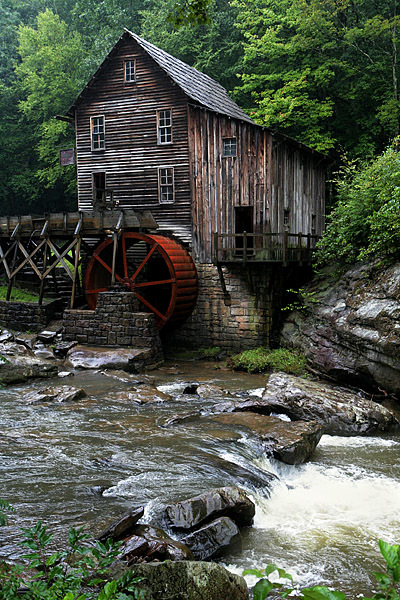 The greatest head at any one piece is 23 feet, designed for a grist mill. The stone, timber, &c., are now on the ground for that purpose, and the race partly dug. A saw mill is now in operation, doing a good business. There is a dam at the lake, which retains all surplus water for future use. The lowest measure of water was last November. There was then only 288 inches issuing from the lake, measured in a current having a decent of 4 inches in 16 feet. There is now an issue from the fame floom of 720 inches, when the gait is up. The area of the lake is over 12 square miles. Advantages — No other water power within 14 miles; proximity to the different varieties of timber, (contracts having been made for the delivery of pine logs, &c.;) proximity to navigable waters; in the heart of a rich farming country, already settled with an enterprising people. Society — Our village population numbers 140 souls; have a good school, regular religious meetings, temperance society embracing nearly all the people, a well attended debating club, Sunday school, &c. The religious meetings and schools are under the immediate charge of Elder Manning, who is doing much towards making our place what every good citizen would wish it to be. Health — We have two physicians, but very little for them to do. Artists — Shoe shop, (two workmen,) blacksmith shop, (two fires,) cabinet shop, (two workmen,) one tailor shop, one turning shop, one wagon maker, five carpenters and joiners; and a sash factory and tannery are about being erected. Merchants — One store, (Messrs. Elliott & White,) doing a fine business. Position– Our place is elevated and dry. Banks of the stream about 80 feet high. On the one side, forest timber; and on the other, light openings. 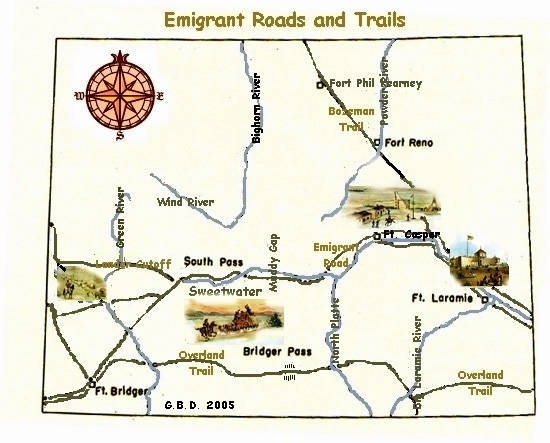 On the first day of April, 1846, myself with several other pioneers, (as we termed ourselves,) by dint of presevarnce and a sprinkling of moral caurage, displayed in following sundry Indian trails, and in some instances no trails at all, made the best of our straggling way into what seemed, as it truly was, an unbroken wilderness. We arrived at last, after fording streams and forcing through bush tickets, which nearly left our [seeing sense] minus, about 9 in the evening — right glad to find a place where civilization had a home, having traveled all day with only one or two in the shape of white men to guess with us the locality of our place, our direction to find it, or distance to the same. 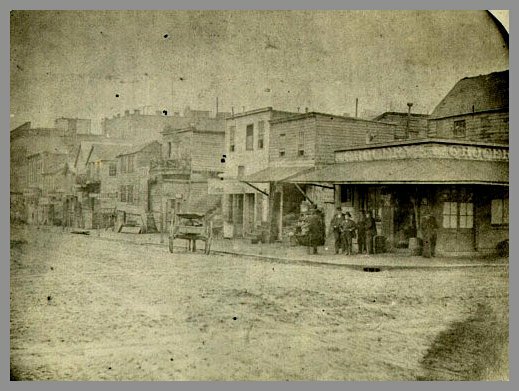 The Pioneer Hotel, under the supervision of Mr. Parsons, the proprietor, gave us welcome, and we received at the hands of his numerous tenants a well relished supper served up in Badger style — to which our keen appetite did ample justice. After relating the adventures of the day to others who, like ourselves, had quartered themselves here for the night, our whole company consisting of eight, thought best thus early to seek our needful repose. Our kind landlord soon relieved our curiosity, naturally excited as to the whereabouts of our night’s berth, located as we were in a native cabin a little more than 7 by 9, with room for only one bed to accommodate the whole. Our plan of camping was a singular one, but if any of your readers should ever find himself in a similar condition, it may be of service to him. Two bedsteads were placed side by side, and the beds thrown on. We then placed ourselves in as compact position as possible, with a tier of heads on the outside all round, our feet lapping by so as to come in pretty close contact with our neighbors faces. In this manner we spent the night and if, when we arose in the morning, we were fortunate enough to get our own legs to stand on, instead of our neighbor’s, we considered it, at least in the confusion a lucky escape. But WAU-KAU has since undergone a great change, as the statistics of the place, which have been furnished you, will prove. Come friend Hadley, and take a stroll with us, where, a year ago, was the silent wilderness, listen to the woodman’s ax, witness the signs of improvement in every direction; and if you do not call our portion of the country a second Eden, you will be constrained to call it, with us, “a little better than the best” of the new towns of the West. The Whigs of Winnebago county have nominated Mr. URIAH HALL, of Waukau, for the Assembly. Mr. H. is a good and strong man. THE MENOMONEES — From a long article furnished by our valued Waukau correspondent, we copy the following paragraphs, showing the power of the ancient Menomonees. The crowded state of our columns, will not admit of the publication of the entire article. “Little and Big Butte des Most,” or hill of the dead, are records which tell of their might in battle and gathered honors of war. Their prisoners they retained as slaves. More than a century and a half ago, they attained the elevated position of slaveholders, and established that law requiring the weak to serve the strong, to which civilized nations have added the sanctions of religion. But when the Catholic fathers came among them, and told them that the Great Spirit “made all men free and independent,” they repented of the evil they had done, and told their slaves that they too were children of the Great Spirit, and thereafter should be free to enjoy his blessings. A new postoffice has been established at Waukau, Winnebago Co., and Wm. H. Elliott appointed postmaster. 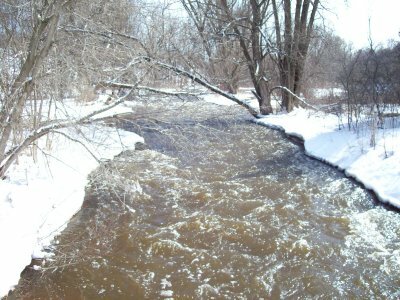 Image of Waukau Creek posted by Linda F. on Pbase. SOMETHING SINGULAR — OVERFLOWING WELLS. There are three wells near this place, discharging fine little rivulets from their surface. They measure 23, 30, and 54 feet in depth; soil red marl. You will hardly believe me when I tell you these wells discharge double the quantity of water when the wind is south that they do when the wind is north; still the whole neighborhood will testify to the fact. The water in other wells in the vicinity will rise a foot on the wind blowing a good breeze from the south. I have not sufficiently examined the subject to solve the mistery. But as Rush Lake is within three miles and on high ground, it is propable the source from which the well are supplied, and a south wind driving upon the coarse sands of the beach increases the discharge of water thro’ the sand into channels which find vent in those wells. — Wash. Co. Eagle. The grist mill at Waukau has finally been put in motion. It will prove a great convenience to the people of the region. Image from Grow & Resist. 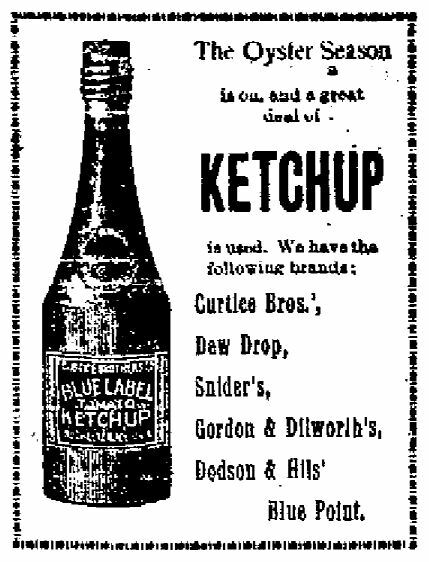 When I first ran across this article for Ohio Ketchup, I had no idea that “ketchup” was ever anything except the red stuff that comes in a bottle. OHIO KETCHUP. — The Buckeyes are in the habit of making a certain kind of ketchup which I have found no where else, and have, therefore, taken the liberty to call it “The Ohio Ketchup.” Is is an article that should be found in every household. You may pardon me for not attempting to give you an idea of its deliciousness, because my pen cannot do justice to the subject. The season will soon be here when this “happy combination of vegetables” can very easily be made. I will therefore transcribe the receipt for the benefit of your readers: Take about three dozen full grown cucumbers, and eight white onions. Peel the cucumbers and onions; then chop them as finely as possible; then sprinkle upon them three-quarters of a pint of fine table salt, then put the whole into a sieve and let it drain for eight hours; then take a tea cup-full of mustard seed, half a cup of ground black pepper, and mix these well with the cucumbers and onions; then put the whole into a stone jar and fill up with the strongest vinegar and close tightly. In three days it will be fit for use, and will keep for years. Let all your readers give the Ohio Ketchup a fair trial, and you and I will receive sixty thousand thanks for letting them into the secret of making it. TO PRESERVE TOMATOS. — The following has been handed to us as the receipt of a good housewife for preserving or “curing” tomatoes so effectually that they may be brought out at any time between the seasons “good as new,” with precisely the same flavor of the original article; Get sound tomatoes, peal them, and prepare just the same as for cooking, squeeze them as fine as possible, put them into a kettle, bring them to a boil, season with pepper and salt; then put them in stone jugs, taken directly from water in which they (the jugs) have been boiled. — Seal the jugs immediately, and keep them in a cool place. NOTE: The Republic Compiler (Gettysburg, PA) Jul 29, 1850, also carried this article and included its author as E.B.R. Springfield, Clarke co., Ohio, 1850. TOMATO KETCHUP. — The following, from long experience, we know to be the best receipt extant for making tomato ketchup. Five heads of garlic, skinned and seperated. Mix together and boil about three hours, or until reduced to about one-half. Then bottle without straining. Tomato Catsup — Tomato Sauce. 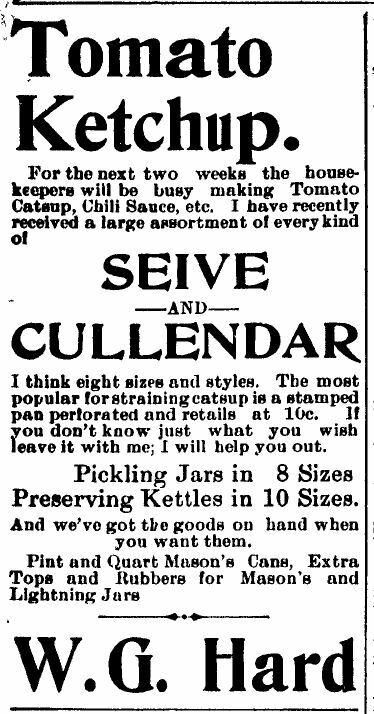 As the season is drawing near for all good housekeepers to commence putting up different kinds of preserves, pickles, &c., we copy the following recipe from the August number of the [American Agriculturist] for making tomato catsup and sauce: “The basis of tomato catsup, or ketchup, is the pulp of ripe tomatoes. Many defer making catsup until late in the season, when the cool nights cause the fruit to ripen slowly, and it may be t is gathered hurriedly for fear of a frost. The late fruit does not yield so rich a pulp as that gathered in its prime. The fruit should have all green portions cut out, and be stewed gently until thoroughly cooked. The pulp is then to be separated from the skins, by rubbing through a wire sieve so fine as to retain the seeds. The liquor thus obtained is to be evaporated to a thick pulp, over a slow fire, and should be stirred to prevent scorching. The degree of evaporation will depend upon how thick it is desired to have the catsup. We prefer to make it so that it will just poor freely from the bottle. We observe no regular rule in flavoring. Use sufficient salt. Season with cloves, allspice, and mace, bruised and tied in a cloth, and boiled in the pulp; add a small quantity of powdered cayenne. Some add the spices ground fine, directly to the pulp. A clove of garlic, bruised and tied in a cloth, to be boiled with the spices, imparts a delicious flavor. Some evaporate the pulp to a greater thickness than is needed, and then thin with vinegar or with wine. An excellent and useful tomato sauce may be made by preparing the pulp, but adding no spices, and putting it in small bottles while hot, corking securely and sealing. If desired, the sauce may be salted before bottling, but this is not essential. To add to soups, stews, sauces and made dishes, a sauce thus prepared is an excellent substitute for the fresh fruit. It should be put in small bottles containing as much as will be wanted at once, as it will not keep long after opening. 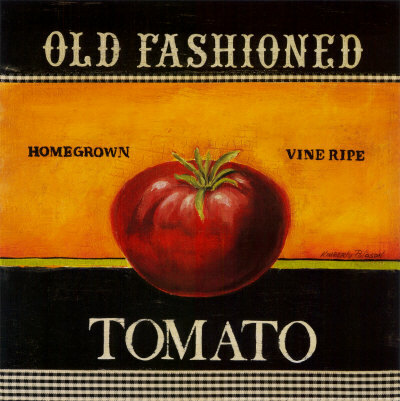 — Old Virginia Ketchup. 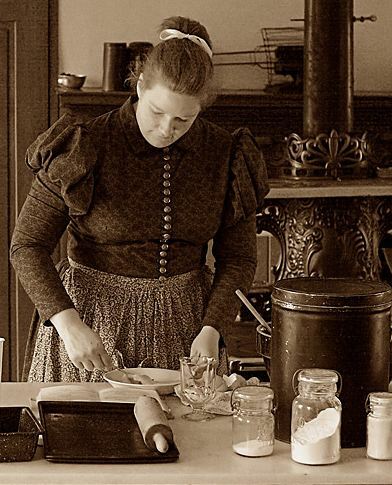 — Take one peck of green tomatoes, half a peck of white onions, three ounces of white mustard seed, one ounce each of allspice and cloves, half a pint of mixed mustard, an ounce of black pepper and celery seed each, and one pound of brown sugar. Chop the tomatoes and onions, sprinkle with salt and let stand three hours; drain the water off; put in a preserve kettle with the other ingredients. Cover with vinegar, and set on the fire to boil slowly for one hour. 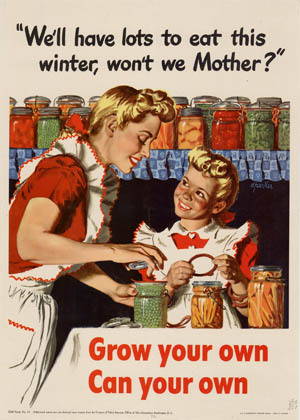 Image from the Local Food Local Farms Local Sustainability website. Why catsup? Nearly every bottle which comes from a public manufacturer is emblazened with that spelling. Wrong Ketchup is the word. It is a corruption of the Japanese word kitjap, which is a condiment somewhat similar to soy. It is a pick me up, a stirrer of the digestive organs, a katch me up, and hence its application to the mingling of tomatoes and spices, whose name it should bear. 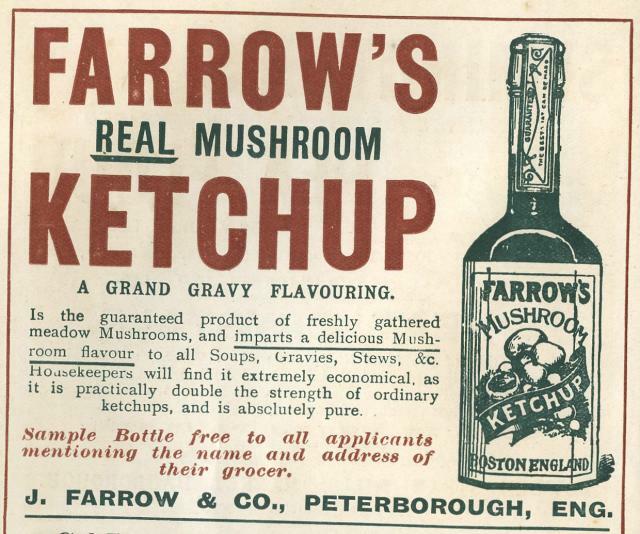 NOTE: At the link for the mushroom ketchup (scroll down,) it says that Ketchup came from a Chinese word, rather than Japanese. When you cut up the tomatoes remove that part of pulp which holds the seeds, as that produced only some of the watery fluid which afterward must be got rid of. Then cook the tomatoes until perfectly soft and strain like this: Take a pan sieve; place over a two gallon crock, the top of which is a little smaller than the sieve. Set the crock in a dishpan. When you pour the hot tomatoes in the sieve, the thinnest liquid will run through the edge which extends over the crock, into the pan, and you can throw all that liquid away, which otherwise would have to be boiled away. Then with a spoon, and afterward with your hands, rub the tomatoes through the sieve. In half the time the ketchup is better and thicker than ever. When it doesn’t cook too long, the ketchup also is lighter in color. This fact, and because I tie the spices in a bag, makes it as bright as that you buy. Pound fine an ounce of black pepper and half an ounce of allspice, with an ounce of salt, and a half ounce of scraped horseradish and the same of shalots peeled and quartered; put these ingredients into a pint of mushroom ketchup or walnut pickle; let them steep for a fortnight and then strain it. A teaspoonful or two of this is generally an acceptable addition, mixed with the gravy usually sent up for chops and steaks; or added to thick melted butter. Another delightful sauce for chops is made by taking two wineglasses of port and two of walnut pickle; four of mushroom ketchup; half a dozen anchovies pounded, and a like number of shalots sliced and pounded; a tablespoonful of soy and half a drachm of Cayenne pepper; let them simmer gently for ten minutes; then strain, and when cold put into bottles, well corked and sealed over. It will keep for a considerable time. 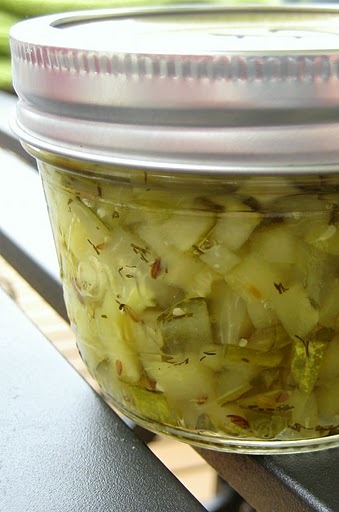 American Pickles for Queen Victoria. Lusden & Gibson, grocers, of Aberdeen, Scotland, regularly supply Balmoral Castle, the Queen’s residence, with Heinz’s sweet pickles, tomato soup, pickled onions, ketchup and chutney. The goods are supplied through H.J. Heinz Company’s London Branch. T.M. Shallenberger comes to the defense of labor as an institution. The subject is one that admits of endless discussion, without arriving anywhere. If a man like to work, it is entirely proper that he should be given the privilege; but it not fair that people who detest work are compelled to work if they would be considered respectable. It would be just as reasonable to compel a man to play ball, although he abhors the game. There is something wrong with the man who really enjoys working: he is not balanced right; the busy bee is a sample worker; it sweats around all day, going three or four miles to get raw material that could be obtained just as well a few yards from the hive. Ketchup is another worker; when it is bottled, instead of taking things easy, it begins to work and gets sour and spoiled. That is the way with most people who work; they get sour and spoiled. We are arranging to organize a new political party, composed of non-workers. The only toll permitted will be the working of candidates for cigars, which is a pleasing and profitable employment. WHEN cooking ketchup, etc., try putting a few marbles into the kettle to prevent burning. The heat will keep the marbles rolling and prevent the stuff from sticking to the kettle. When the slow eater calls for ketchup, he means business. Composed while standin within 2 feet of Him, and a Tuchin’ of Him now and then. All hale! thou mighty annimil–all hale! Perporshund, thou tremenjos boveen nuggit! And his kaff, thou elefanteen quodrupid! And if you grode it in a month or so. With perhaps an occasional punkin or squosh! Ketchup, wouldn’t be bad to taik. Thou grate and glorious inseckt! But I must klose, O most prodijus reptile! I ain’t a ded head, I will sa, farewell. An take her knittin work an gab with ole Kerturah Snow. An her pudd’n only sizzled, an her johnny cake wouldn’t rise. Her pickles, an her ketchup, an her elderberry jam. An her winter muff was rooined and her weddin dress was spiled. This pooty palace of our dreams is sure to spring a leak. — S.W. Foss in Yankee Blade. In a flood of golden light? And the string, and the wooden latch? Were made in the old mill’s side. And the wind is soft and still. 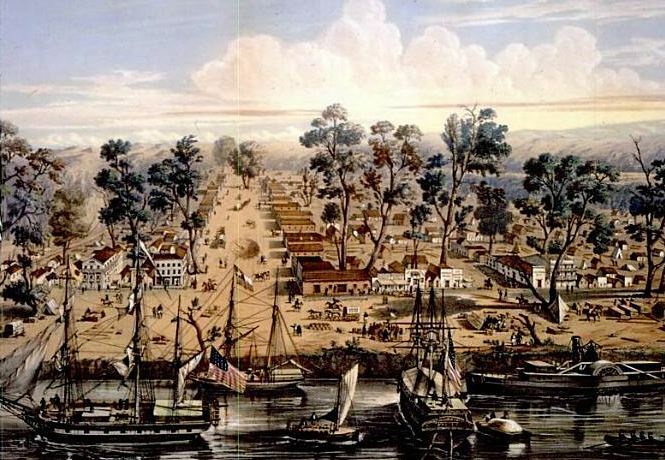 Milan’s California Exodus of 1849. 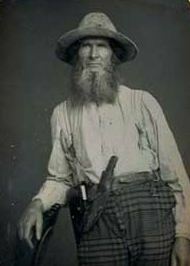 The death of Hiram Allen, at Lower Lake, Lake county, California, November 13, 1889, has already been announced, he dying at the age of 67 years and 10 months. He was of the vast army of adventurous fortune-seekers, who, in 1849, led the way in search for wealth in the mines of California. The party of which he was a member left Milan in March, 1850 (1849), and consisted of Ebenezer B. Atherton, (Captain), Martin Smith, Harvey C. Page, Robert Smith, Samuel Wickham, Jno. G. Norton, Hiram Allen, Snow Edison, Geo. C. Choate, Chas. Goodrich, J. Gregory and Wm. Jennings. 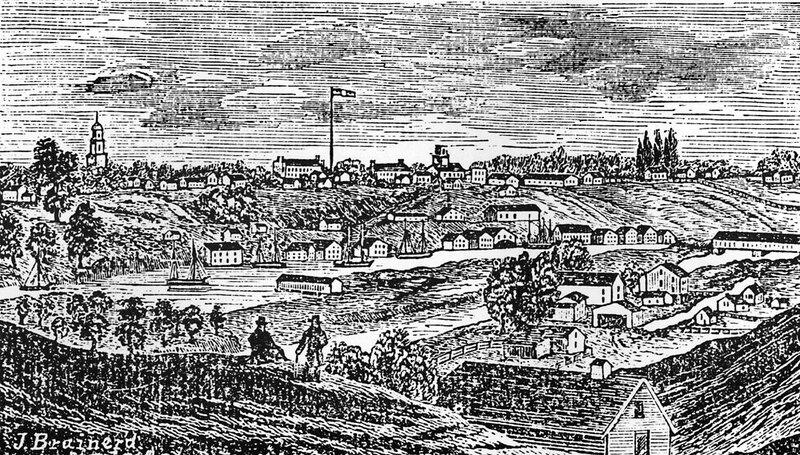 The Milan Tribune had a letter from Martin Smith, written opposite St. Joseph, Mo., April 26th, 1849, where there then were about 300 wagons, in thirty camps, awaiting preparation for the start across the plains. In the train embracing the Milan company were about thirty wagons and 175 men. The party were in excellent spirits. Their train included companies from Monroeville, Bellevue, Columbus, Marion, Lorain county Cleveland, Delaware and Cincinnati. A letter from Wm. Jennings, dated Pawnee (Indian Territory), May 18, said the party was all well and making 15 miles per day. A letter from E.B. Atherton, dated Sacramento, August 25th, announced his arrival there, leaving the Milan company at Carson river. Mr. Allen was a son of Seneca Allen one of the most prominent of the pioneers of the Maumee Valley, having gone there from Detroit in 1816, and opened a small store at Roche du Point, now Waterville, Lucas county. In 1818 he removed to “Orleans of the North,” an embryo town on the Maumee river, below Fort Meigs and opposite Maumee. He there was justice of the peace, that locality then being in Logan county. In 1824 he purchased, for $480, 160 acres of land, now in the heart of Toledo, on which are located the court house and the high school building, but was unable to hold it. He was a civil engineer, and laid out a large portion of the original plat of Toledo. In 1824 25, he taught the first school in Toledo. With his family he removed to Monroe, Mich., in 1827, where he died of cholera in 1834. He was a man of high character. His wife, Mrs. Fannie L. Allen, a woman of remarkable worth, died in Cleveland in 1875, aged 82. 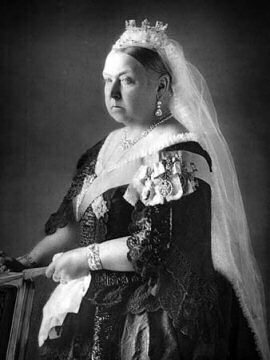 They had twelve children, including beside Hiram, Mrs. Hamilton Colton, of Milan, O.; Mrs. J.W. Keith and Mrs. Geo. B. Traux, of Detroit, and Mrs. Geo. Standart and Mrs. J.H. Blinn of Cleveland. Mrs. Allen was the elder sister of Mrs. Carlos Colton, of Toledo. **Click on the “Gold Rush” category to the right for earlier accounts mentioning these forty-niners.